We are a community which grew in different games, and are a very old Star Conflict corporation, being more nostalgic and slow growing in nature. We are mainly searching for pilots who bring their own initiative. Teamspeak presence is welcomed, especially in squad-battles, and compulsory for Wings or Tournaments, if we fly any. Please regard the teamspeak like you enter real rooms full of people. Listen in before you speak, say hello, be polite. It's not an audience service, nor an entertainment service for you as visitor, but a social environment, you become part of. Try to speak english if members with different languages are present in the same channel. We usually speak english, even if this is not the case! Note, that our language is not always child-friendly, but we do respect members asking for nice speech. No Racist, Sexist, or any phobic behaviour. Respect other members and their viewpoints. We value feedback and critics. Please be patient as we try to accomodate all members. In case of any misunderstanding, contact an Officer; the Internet is a complex medium, bad stuff happens, we are training Forgiveness! At least Rank 10 Ships in multiple factions with full synergy. We do queue for Tournaments, SQ (Sector Conquest, Dreadnought), and sometimes SpecOps, too, but only if there is interest (no schedules). Expected veterancy average (if you want to apply as unknown player): 2k pvp battles, >= 1.1 w/l, 2.5 kill average, 4 assist average. We do however not overemphasize looking on stats. Teamspeak Presence. Especially in a team game. Dedication; Real Life comes first. We rather have you couple times a week for years, than daily for two weeks until you burn out. We have no age restriction, but our age group is rather mature. We like to be relaxed, sit on trees and watch mice. We are Owls. We are friendly to casuals, but reserve the right to remove members who are inactive more than 90 days ingame, if they do not give feedback about their absence. On the other hand, we remove members who seem to expect more than we can offer for their own benefit. We try to keep active and involved members in the corp for at least half a year in case of absence. Once you know you are an owl, you stay an owl. You don't have to be an owl, to be around with us. Don't take it too personally, if someone has an inquiry about your teamspeak behaviour, but do take it seriously. People who show they adapt to the family, will have the family adapt to them. We are also preparing to be present in Star Citizen, and other games. You want to become an Owl? Interested in more information? Drop a PM to me or join TeamSpeak. Or simply write into this thread. Officers also included in reservist position (=away) or without (=honorary) corptag. NA$A-OWLiance: We are happy friends with the NA$A Gang and wiggle together a lot. 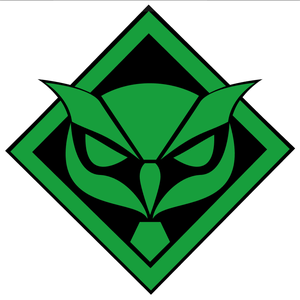 to our lost comrades, who still are owls at heart, but not (active) in SC. This Thread may be used for any talk from here on - or recruitment - as anything official will be updated in the first three posts of the thread anyway. Updated with a Logo and cosmetical linking. Acknowledging ElMustacho's humor officially, however, it seems, he stole the joke from Kine. I actually came up with it independently of Kine. We are just like-minded I suppose. Also, this one night you got grouped with a squad of [FROG] repeatedly against us.. and Dug kept saying "oh no, it's the animals again!" Just saying, there could be this awesome alliance. FROG is constantly a bit above or below us in the top 100, but there are 100 of them and only 7 of us. They are not as delicious, but in an Animal Farm Alliance, I fear we would eat them all. Here are my stats. You could decide that am I good enough for the corp's requirements. You have too much space and processing power on your machine Kine. Interests:Whatever I have a fancy for at the moment. The friendliness throughout the battles whether it was won or lost exhibited by various members of your team showed great character of your Corperation and made it enjoyable for all. also Strudelteig is still very new, but he did good! Nice to see it from the other perspective. I have to say I really enjoy the NASA vs OWL battles. You guys are always fun to face and pose a serious challenge every time your on the other side. I have to say, that when you are together, you do use team work and it shows. As proven, you can beat anyone, including NASA, when you put your mind and effort to it. I commend you for your great sportsmanship. I award you with some complimentary sweet rolls (usable for the next month or until supply runs out) and my commendation from the NASA corp as a whole. P.S - Your CEO has a blood lust to kill the JP, tell him to calm down! Ohh i have to watch those videos, ty kine! @oregyenduero have u ever thought that maybe if u dont abandon ship(like what u did with styx) u might actually survive? Indeed, when i watched the recording i was very ashamed. But then I remembered how badly i wanted to play the Hawk Eye, because of its tank.